Homeless man took the auditions of a talent show, when he started singing the tears of the judges started falling! Home / Inspiring / Homeless man took the auditions of a talent show, when he started singing the tears of the judges started falling! The talent show that are created worldwide really makes an impact to the lives of the people. Not only for the contestants but also for the people who are watching the show. 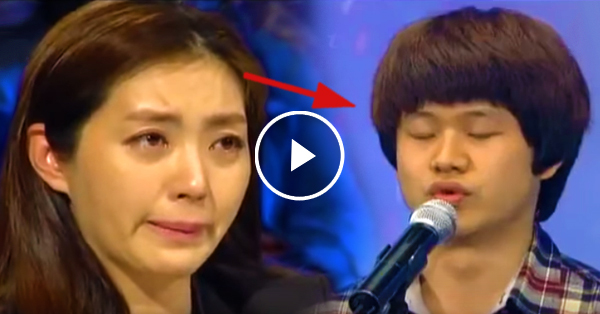 In the show Korea's Got Talent, a homeless man who auditioned for the show made the judges and audience cry out loud. Not only because of his talent but because of the tragic incidents that happened in his life. When he was just 5 years old, his family brought him to the orphanage. He decided to escape the orphanage because they were maltreated. Ever since, he lived his life on the streets. He sold gums and energy drinks for a living. He sleeps on the stairs of public places. But when he started singing, the judges were even more thrilled!